3. SUBJECT K is counting down the last 5 weeks until SUBJECT B presents itself. 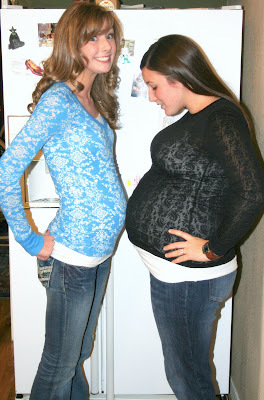 You could not be any cuter - when is that little baby coming anyway?> I am so excited for you guys! Cute, cute, cute....can't wait to meet my grandniece/nephew....you are making me so old!